Readers tell me they love the “Find of the Week” feature that I’ve done a couple of times, so of course I completely let it slide. It’s a good thing I’m self-employed, that’s all I can say. But I’ve got something for you this week. 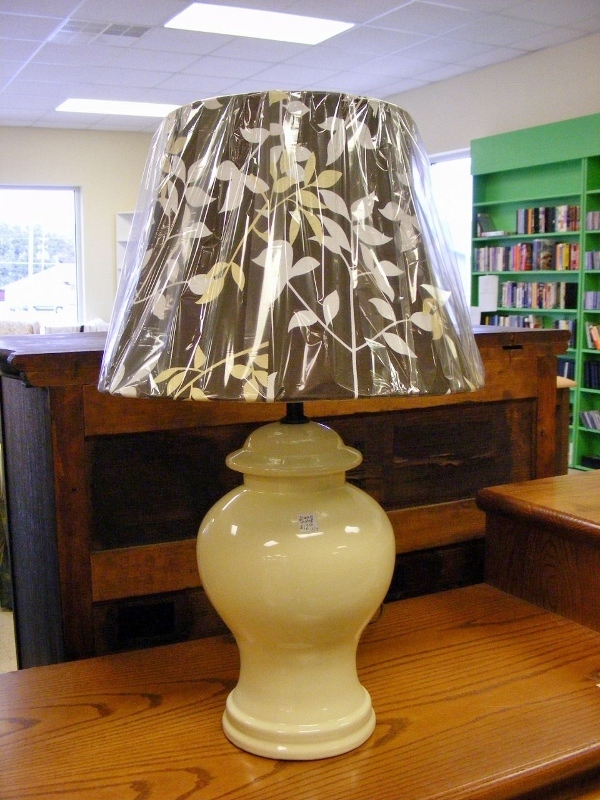 The lamp base is a very creamy ivory and it cost $12.50. It is the kind of lamp that can be used many places in a home. I would put a shorter harp in it (the piece that holds the shade), but that’s just me. The shade (which still has the plastic wrap on it but you can tell how cute it is) was also priced at $12.50. It’s a lined lampshade in brown, cream, palest yellow and soft gray. They had all kind of shades that day–drums, solids, patterns. Christine put the shade on the base. She cannot stop herself from staging an area, it’s a compulsion of hers and it makes me laugh so hard I often make a scene. The ReStore people weren’t that amused–they put the shade back in the pile, which made me laugh even harder. So the lamp and shade are my finds of the week, pictorially speaking. But the real find is the Habitat ReStore. It’s just an amazing place with loads of creative potential in every aisle. And it supports Habitat, what more could you want? More? 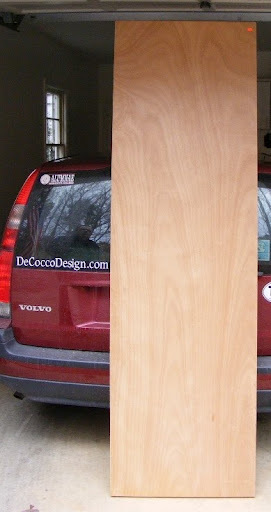 Ok, it’s very “green” design–recycle, reuse, restore.